All the power of a foam cannon – weighing in at less than a pound! MTM Featherweight Foam Cannon is a lightweight foaming lance used with your pressure washer to create layers of foam during a wash. Made with military grade aluminum, the MTM Featherweight Foam Cannon is the perfect “entry-level” foam cannon and gets you up and foaming in minutes! 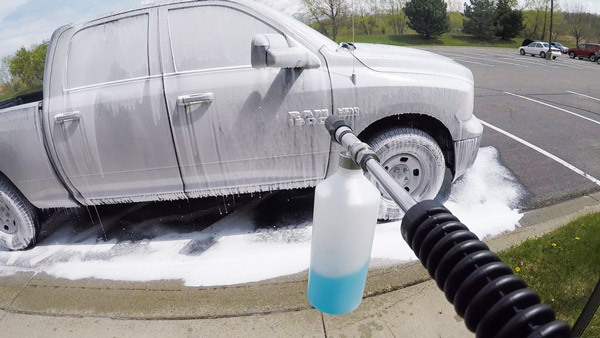 Take your ordinary car wash to the next level with the MTM Featherweight Foam Cannon! Washing your car using a foam cannon has become one of the most popular methods today. The ability to just hook your pressure washer up to a foaming lance and completely cover your entire car in just minutes has more than one advantage and both professional detailers that wash cars full time and detailing enthusiasts that just like to keep their own cars looking perfect are getting on board. The most important part of using a foam cannon? Having the right tool of course! The MTM Featherweight Foam Cannon is billed as “the perfect foam cannon for entry-level users” – and it really is! Priced just right, and not too heavy, the MTM Featherweight Foam Cannon can be used by anyone – no experience required! But that’s not to say the MTM Featherweight Foam Cannon doesn’t perform! 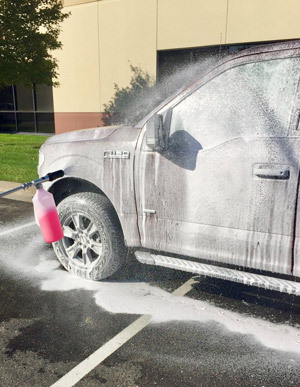 Thanks to the military grade aluminum lance that adjusts to your desired spray pattern, MTM Featherweight Foam Cannon produces foam that is quick to coat your entire vehicle in a high lubricity foaming shampoo. This foam helps you remove dirt and debris from the surface of your car without harm! 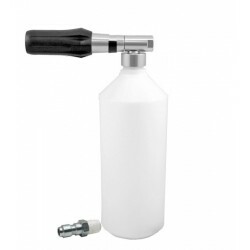 MTM Featherweight Foam Cannon comes with a ¼” quick connect plug, tube, and bottle. The fitting needed to match your pressure washer is sold separately below. The MTM Featherweight Foam Cannon might be small, but it still delivers excellent amounts of foam!